Seeing a story and photo like this reminds us that we are living in extraordinary times. It’s barely a year since Obama left office after kicking Israel under a bus at the UN and enriching today’s Amalekites in Teheran with $150 billion to fuel their terrorism and giving them a free pass to nuclear weapons. At the same time UNESCO was rubbishing Jewish claims to its holy sites. 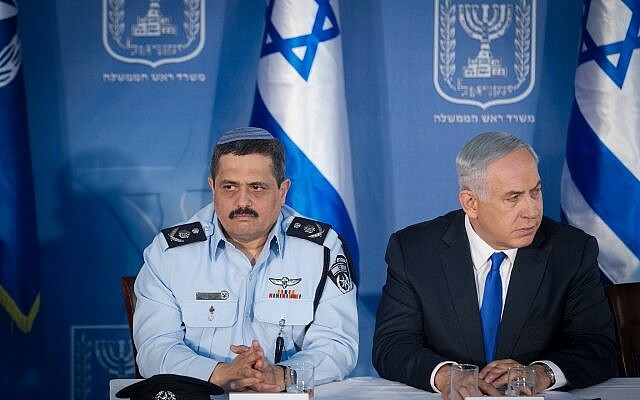 And now, in the blink of an eye in historical terms, Israel’s sovereignty in its biblical capital has been validated loud and clear by the United States and the IDF has been pre-emptively striking Iran and its jihadi proxies in Lebanon and Syria without the usual demands for restraint. Just as movie-goers have lately been wondering what might have happened to England without Churchill, you have to wonder what might have happened to Israel without Netanyahu. How might things have turned out under …. As prime minister, he signed the Oslo Accords which sanitised the PLO as a Palestinian ‘Authority’ and gave Arafat a platform to launch waves of terror in which 1,600 Israelis were killed and 9,000 wounded; more than 4 times the toll of the previous 25 years. Netanyahu opposed Oslo. Israel’s most decorated soldier offered Arafat 97 percent of Judea and Samaria (aka the West Bank) as a Palestinian state with its capital in East Jerusalem. No prizes for guessing Bibi’s take on that act of lunacy. And let's not forget Barak's ignominious retreat from South Lebanon, which brought Hezbollah to our doorstep, with seats in the Lebanese parliament and 100,000 rockets pointed our way. So sad this amazing hero of Israel had to end his life this way. They say he surrendered Gaza to appease the Left, over corruption charges. We all know what that got us. Iran on our doorstep, two wars and incessant rocket attacks. Netanyahu resigned from the Sharon government when his demand for a Gaza referendum was turned down. And then there’s Olmert (until recently known as Mr. 9032478 at Maasiyahu prison). Well, he’s the genius who was ready to give the Golan Heights back to the Assad family in 2007. Just imagine where we would have been today with Iran’s proxies perched literally over our heads? None of those leaders faced such a toxic US president as Obama and yet they were prepared to give away vital territory, sovereignty and security interests. And yet, Bibi Netanyahu steered the Jewish State through 8 years of Obama without surrendering anything. So folks, enjoy the miracle as it plays out. And a joyous Purim to all. This week one of Iran’s terror proxies announced that they will soon have half a million missiles pointed at Israel from Lebanon and Syria. As I write these very lines, ‘Color Red’ alarms are announcing new missile launches from Gaza. 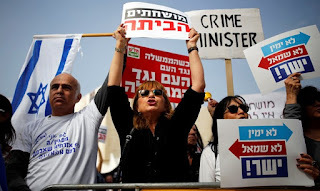 So tell me: is this a time for the prime minister of Israel to be pilloried over gifts from admirers? We’ve just witnessed the miraculous election of Donald Trump after Obama kicked Israel under a bus as his last presidential act. We’ve also seen the deep friendship and admiration between Trump and Netanyahu on a scale never seen between the leaders of America and Israel since the birth of the Jewish state. 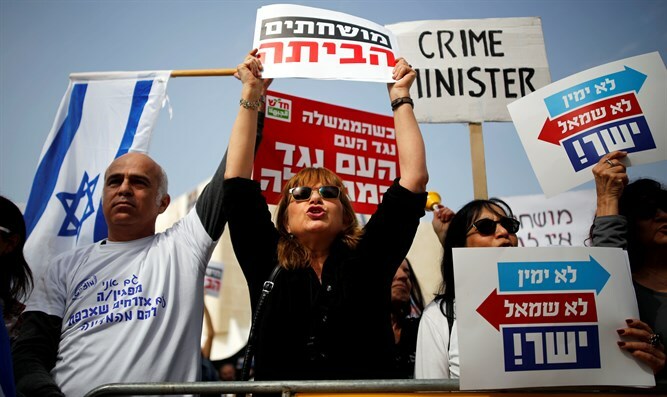 In such a ‘Goldilocks’ term of office and faced with today’s dire existential threats, it truly beggars belief that any Israeli would be demanding Netanyahu’s overthrow. And over such a nothing-burger of charges. When our Temple was under siege by the Romans in 70 AD, one of the only witnesses to chronicle the actual events was a Jewish-born convert Josephus Flavius. He recorded that even as the Romans were surrounding the Temple walls, Jews were killing each other behind those walls. Why must we always be helping our enemies? And why is it always the self-proclaimed elites, academics and Haaretz-readers who are so keen to help our enemies and so eagerly support the creation of a Palestinian terror state in the heart of the Jewish homeland. As I write these very lines, ‘Colour Red’ alarms are announcing new missile launches from Gaza. I find it astonishing that a police commissioner would go on an investigative TV show to discuss a pending investigation ... least of all of a sitting prime minister. Such is the latest sub-basement level to which the Israeli police service has fallen in its policy of ‘trial by 1000 leaks’. 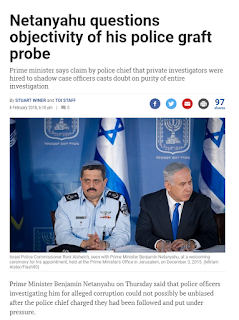 Last week police chief Alsheich reportedly claimed that “powerful figures” had hired private investigators to collect information on the police investigators in the Netanyahu cases, apparently to personally discredit them should they recommend indictments. An aggrieved person might go on TV in order to plead a case for the police to investigate. But since when does a police chief have to do this? He is the chief of police! If there are dark forces or criminal elements following his people around, let him follow them and investigate them – or put them in the cooler. 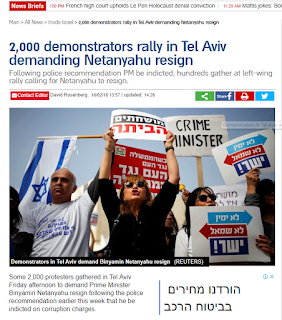 This appears to me to have been a totally politicised event to smear PM Netanyahu just as the police recommend his indictment to the attorney general. To imply that Netanyahu is running some Black Ops team to shake off these petty charges over cigars and other gifts from friends is absurd. Did it occur to the police chief that there are some “powerful figures” who actually support Netanyahu – just like the “powerful figures” in the Israeli media and politics who are so consumed with jealousy that they can’t sleep at night with the thought that Netanyahu is still in office for the longest term since Ben Gurion. We are talking about a prime minister who has steered the Jewish state through eight years of Obama ! And he has brought us out the other end whole: with an economy that makes a mockery of the EU, newfound alliances and unprecedented trade relations with Africa and India and – most important of all - with not an inch of our precious homeland given up. 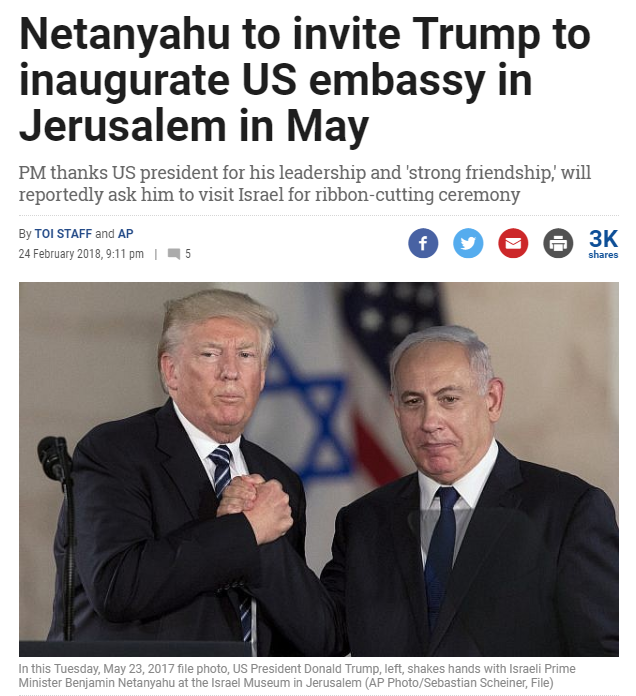 About the only thing Bibi did for Obama was to apologise to Turkey’s prime minister Erdogan, and that was only because O thrust his phone into Bibi’s hand at the airport. Whatever his weaknesses may be - for rich friends, cigars or pistachio ice cream bought on the official residence’s tab - the bigger picture is that he works day and night for the security of the State of Israel facing down Iran’s genocidal threats and Europe’s trade boycotts from abroad whilst having to watch his back at home against the knives of political assassination within his wafer-thin coalition. Could you do that job? So, Mr Police Commissioner – stop being a cry-baby on TV and tell your officers to stop their incessant leaking. all of a sitting prime minister. of ‘trial by 1000 leaks’. 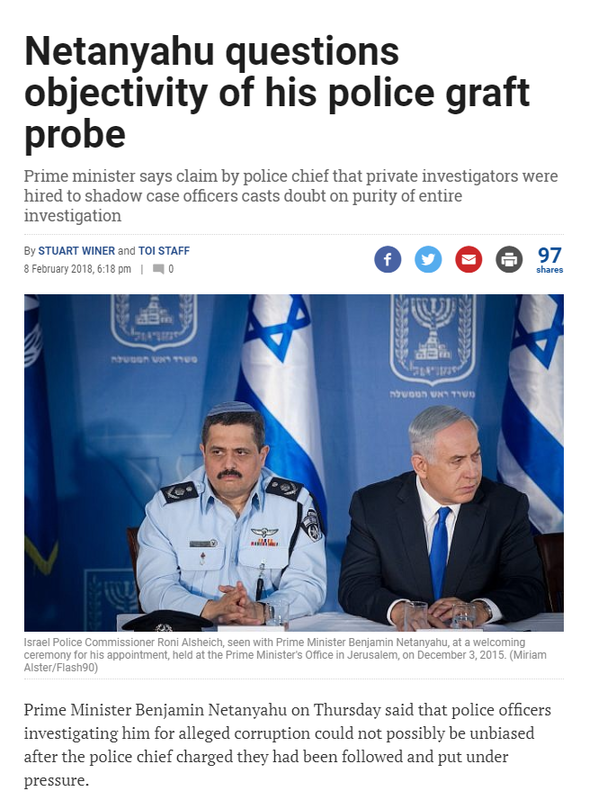 “powerful figures” had hired private investigators to collect information on the police investigators in the Netanyahu cases, apparently to personally discredit them should they recommend indictments. This appears to me to have been a totally politicized event to smear PM Netanyahu just as the police recommend his indictment to the attorney general.